A classic haunted house chiller from 1982, several of the scenes and catchphrases from Poltergeist have passed into popular consciousness. The story of the Freeling family, whose daughter Carol-Anne is abducted by malevolent spirits through the TV set, Poltergeist ensured people would never think of the phrase 'they're here...' in the same way again. Directed by The Texas Chainsaw Massacre's Tobe Hooper, but owing as much to the influence of writer/producer Steven Spielberg, it's a classic American story of disruption in suburbia, an environment in which even the simplest objects (notably clown dolls) can be twisted into objects of terror. 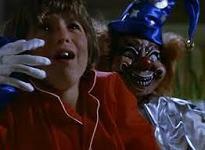 Spielberg's influence apparently extended way beyond his capacity as producer, and he has often cited Poltergeist as the darker flipside to his sci-fi smash E.T. from the same year. 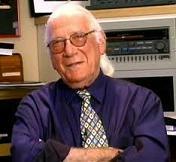 Spielberg's dominant influence over the production has been validated through interviews with the film's composer, Jerry Goldsmith, who claimed it was Spielberg, and only Spielberg, with whom he consulted on the music. It was the first of only two productions between the two men; the next was Twilight Zone the Movie in 1983. Unfortunately, they never worked together again afterwards but Poltergeist proved to be a masterpiece collaboration for the ages, and one of Goldsmith's greatest scores. Goldsmith famously commented that the score was a two-handed collaboration between him and Spielberg, the latter being involved with every note and aspect of the composition. Given Goldsmith's clear thrill at working with a filmmaker who valued music so highly, it's a shame they weren't able to collaborate more. In 1982, the composer was in the middle of an extraordinary purple patch; in the same year he would compose the scores for action movie First Blood and animation The Secret of NIMH. As for the horror genre itself, Goldsmith was already well versed in it: immediately prior to Poltergeist, he had won enormous acclaim for his rapturous, ecclesiastical score for The Final Conflict, the finale to the Omen trilogy, the first film in which won Goldsmith his only Oscar. He had also brought his legendary skill with avant-garde orchestral textures and electronic effects to bear on several other horror movies. His score for Ridley Scott's Alien for instance, although badly treated in the final edit, mixed an array of unusual, archaic instruments alongside the orchestral ensemble, and lurking in the back of all his horror writing was his landmark score for 1968's Planet of the Apes, one of the greatest modernist film scores. At the time of Poltergeist, Goldsmith was entrenched as one of the greatest Hollywood film composers, a reputation which has only increased in vitality over time. 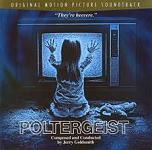 Poltergeist itself is one of those magnificent scores which demonstrate why fellow composer Henry Mancini said Goldsmith 'scares the hell out of us' during the presentation of a Lifetime Achievement Award in 1993. In the context of this particular score, it's not just the horror trappings that are scary. The score itself is also scarily brilliant in its construction, both remarkably complex and endlessly gripping. It starts, as all great scores do, with a memorable theme, in this case a gossamer light and utterly beautiful lullaby for Carol Anne herself. Following some unnerving acoustic/white noise effects and an ominous woodwind theme representing the spirits 'Calling' to Carol-Anne through the TV set, the theme itself is presented on lilting woodwinds during "The Neighbourhood/Main Title". 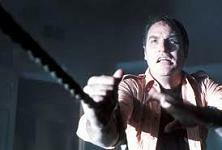 Its famous choral application meanwhile is heard only at the climax and while Poltergeist isn't the first score to have used voices in such a context (the likes of Rosemary's Baby and The Amityville Horror got there first), no-one deployed the tactic as effectively as Goldsmith. The theme is as wonderful a depiction of innocence as one is ever likely to get in a film score, and key to the music's emotional impact. As we descend into ever more frightening territory, the lullaby is used to represent the love which binds the family together during ever-escalating odds. The second half of the track is one of those delightful Goldsmith scherzos for perky strings which represent the idyll of suburbia that's about to be shattered. It's also a clear precursor to his works for director Joe Dante (Gremlins et al). "The Tree" flirts with more pensive material but resolves itself with another lovely rendition of the main theme. At this stage, there is no threat of disruption from supernatural forces and the family is a contained unit. Goldsmith's commitment to his theme in the early stages of the score demonstrates this. Following this deceptively tranquil opening, the first real strains of horror emerge in "The Clown/TV People" as the poltergeists first make their presence felt. Midway through the track, the music erupts with some brutal and dissonant brass work, textures which are deliberately opposed to that of the main theme, and which present the demonic flipside to Carol Anne's innocence. Even so, it's restrained when compared to the next track, "Twisted Abduction", one of the most extraordinary pieces of music in this distinguished composer's career. This is the first time where Goldsmith outlines the good versus evil battle explicitly, juxtaposing some remarkably vicious, unrelenting brass effects (for the invading spirits) with an awe-inspiring choir suggesting the wonder of what lurks on the other side. The genius of the track is the way in which it pulls the listener in two directions simultaneously: it's both terrifying and heavenly at the same time, encompassing all the contradictory emotions one would expect when faced with the revelation of "the other side". As it comes to a close, Carol Anne's theme gets a desolate rendition, as the family come to terms with the fact she's been taken. It's a mini-masterpiece in a score crammed full of them. Things then calm down once again in "Contacting the Other Side" and "The Light" as Goldsmith introduces the other primary theme for the world beyond our own. The Light itself is represented with spine-tingling, elliptical winds and strings which carry a rapturous air, not too far removed from Star Trek: the Motion Picture's theme for V'Ger. In the former track, the now heart-breaking tones of Carol Anne's theme seem distant and far-away, before it's again interrupted by some unpleasant textures. In the latter, The Light theme is treated to an extended variation, suggesting the wonder of the other side. "Night Visitor/No Complaints" is another agonising series of chilling variations, beginning with a reprise of the 'static TV' effect from the start of the score, which indicates the underlying presence of the spirits in the house. As the track proceeds, it develops both the rambunctious brass work for the ghostly invaders and the ethereal tones for the light, but it's a mere entrée to the half hour climax of the score, where Goldsmith brings all his remarkable ideas together. "It Knows What Scares You" (also the film's tagline) builds the tension slowly with further mysterious statements of the Light theme, creating a delicious sense of anticipation. The track marks some of the most exquisitely romantic writing in Goldsmith's canon but turns darker in the second half with timpani hits and piano strikes, anticipating the battle to come, as the Freelings attempt to reclaim their daughter from the other side (Carol Anne's theme, now fragmented and weak in the face of dissonant strings, also shows up). Even so, it's merely a build-up to the astonishing "Rebirth", where the music reaches near apocalyptic proportions. The awe-inspiring choral work returns to open the track before Goldsmith pits the swooning mystery of the Light theme against the horrific brass eruptions representing the ghosts, brilliantly depicting the on-screen tussle between good and evil. But although the music pulls in two different directions at once, it maintains a wonderful sense of dramatic momentum, especially when underpinned by the powerful choir. Gradually, the music increases in urgency and portent before the moving reprise of Carol-Anne's theme at the climax, indicating triumph over evil. But of course, anyone who's sat through the film's memorably frightening finale will know that it's only a temporary victory. After the near ecclesiastical fervour of the previous track has died down, the next piece "Night of the Beast" proceeds with barely audible rumbling. It's brilliantly ominous, Goldsmith teasing us as we anticipate something jumping out of the shadows. When it eventually does with a savage musical stinger, the note of horror is restored as we realise the forces of evil have made a return to the Freeling household. The terror never lets up until the end of the next piece, "Escape from Suburbia", 7 minutes of claustrophobic, relentless horror in which the brass itself seems to bubble up out of the orchestra in amorphous, organic fashion like the bodies rising out of the ground on-screen. Here is where Goldsmith really lets rip with some of his most complex writing of his career, the music achieving a level of dark, horrifying intricacy that is breath-taking. Of particular note is the use of the Brazilian 'Cuica' drum, which lends a chilling 'gulping' sound to the orchestra as the ghosts effectively devour the house during the climax. Things are then resolved with the score's most famous track, the haunting, girls choir version of "Carol-Anne's Theme", although it's preceded by the ominous 'static' effect and concluded with the truly eerie sound of laughing voices, both of which remind us that the poltergeists are liable to return. It's impossible to laud enough plaudits on the Poltergeist soundtrack, not just one of the greatest horror scores ever composed but one of the greatest scores ever composed, full stop. It's little wonder Jerry Goldsmith was so revered in his prime and even more so in the wake of his death; his ability to convey the arc of a particular film's narrative through the music was a genuine gift, and Poltergeist demonstrates this gift brilliantly. By taking a beautiful theme and deconstructing it through some genuinely frightening and complex orchestral textures, the composer displays his innate understanding of the themes at the heart of the movie, all the while ensuring the music stands up as a compelling listening experience on its own. Of course, one shouldn't overlook Spielberg's influence in the making of this particular score. The presence of a filmmaker so invested in the music clearly energised Goldsmith to a standard above and beyond his normal brilliance. As for Goldsmith himself, he never believed in music as wallpaper. He always sought to advance his craft and add layers of emotional undercurrents to each movie project. Poltergeist is one of the most masterful examples of this, deepening the love between the characters and painting the unknown as an alternately scary and wondrous thing. The score was rightly awarded an Oscar nomination (losing out to John Williams' E.T.) but the fact it endures as a masterpiece to this day is real proof of its magic. In a lengthy career crammed full of highlights (two of which were composed in the same year as this), Poltergeist is a tremendous work. RIP Jerry – we'll never have anyone else like you. Both the remastered 1997 edition of the score (reviewed here) and the 2xCD set from Film Score Monthly's label are available on CD and via MP3 download on Amazon. The remastered 1997 edition can be found at Amazon.co.uk and Amazon.com, and the 2xCD set is available at Amazon.co.uk and Amazon.com.